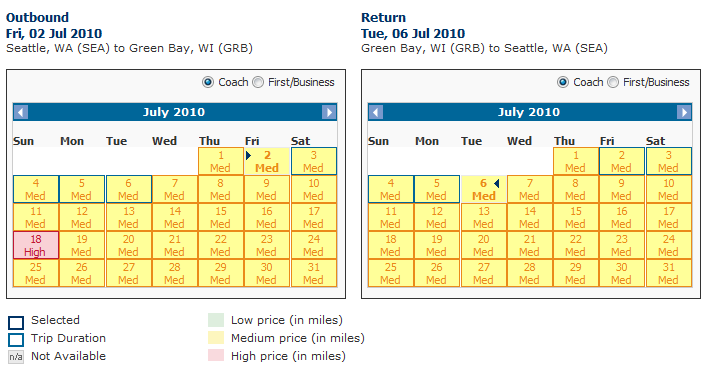 I love how you pretend like I can click on that little calendar icon and see all these Green “Low Fare” dates. SPOILER ALERT: There are zero Low Fare dates between now and August 31. This entry was posted in Uncategorized on June 20, 2010 by ColinM.